Bhawai Dance, Rajasthan: Bhawai dance is very difficult and can only be performed by skilled artists. This dance basically involves women dancers balancing 8 to 9 pitchers on their heads and dancing simultaneously. Bhavai is a genre of folk dance popular in Rajasthan state in western India. 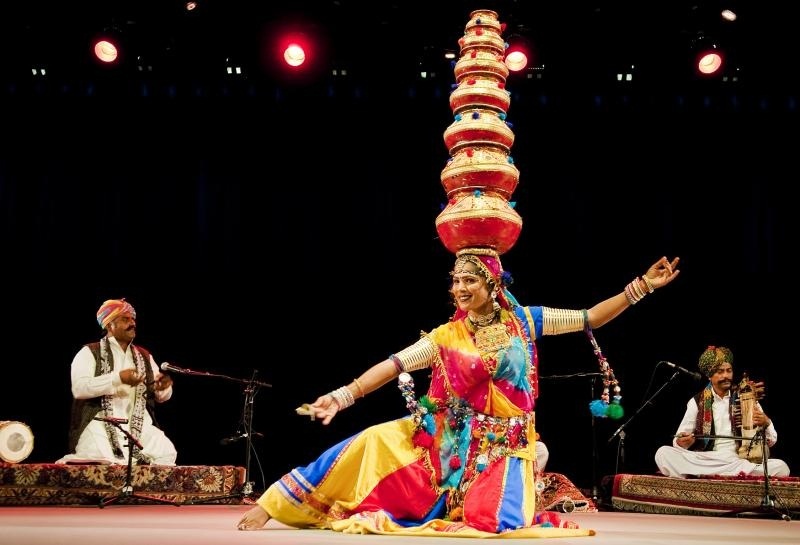 The male or female performers balance a number of earthen pots or brass pitchers as they dance nimbly, pirouetting and then swaying with the soles of their feet perched on the top of a glass, on the edge of the sword or on the rim of a brass thali (plate) during the performance. The accompaniment to the dance is provided by the male performers singing melodious songs and playing a number of musical instruments, which include pakhwaja, dholak, jhanjhar, sarangi, and harmonium. Some of known artists are Rup singh shekhawat, Dayaram, Tara Sharma and others.